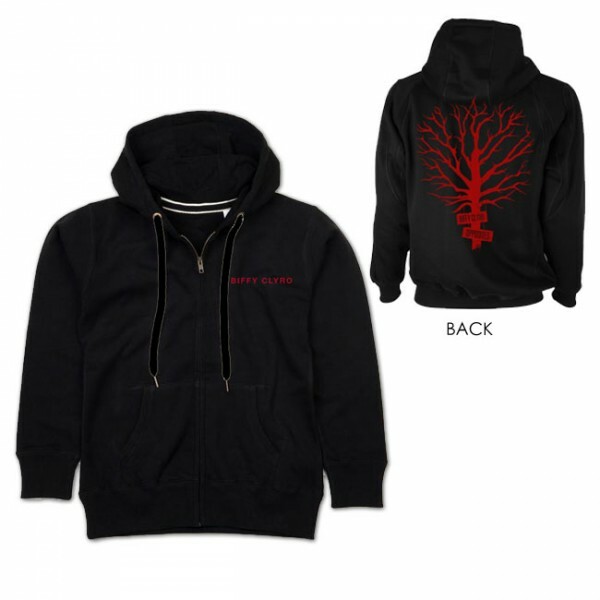 The Black Tree Hoodie is part of the wide collection of "Opposites" Album merch. It features the Biffy Clyro Logo in dark red on the top right and the red tree design on the back. The zipped hoodie is cool and comfortable.